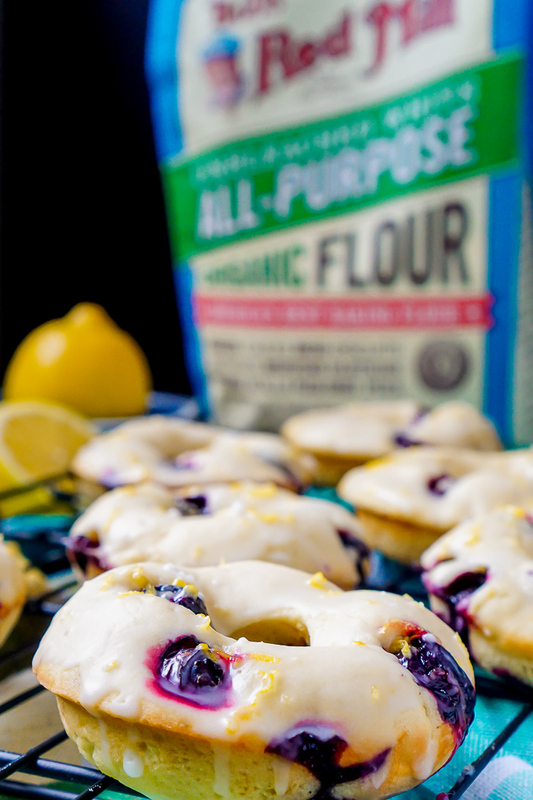 Sweet and tangy flavors combine for perfect Baked Lemon Blueberry Donuts! These baked donuts make a breakfast recipe for your next holiday or brunch! 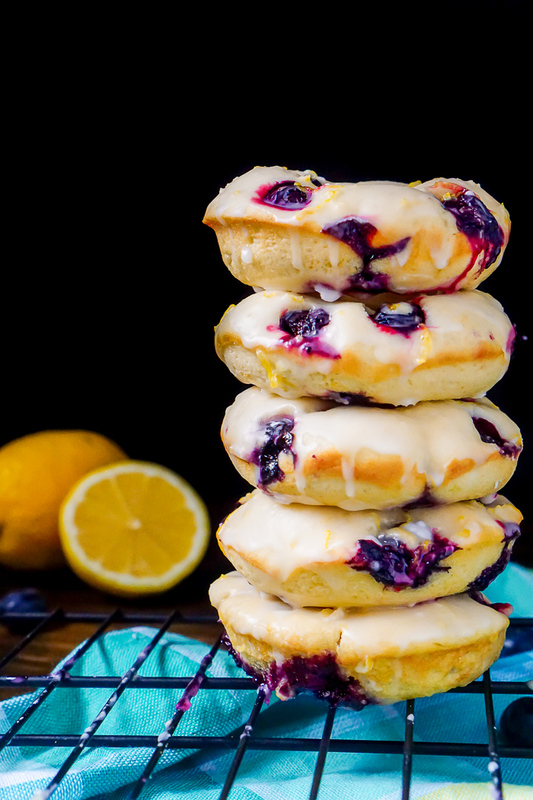 The BEST Baked Lemon Blueberry Donuts! 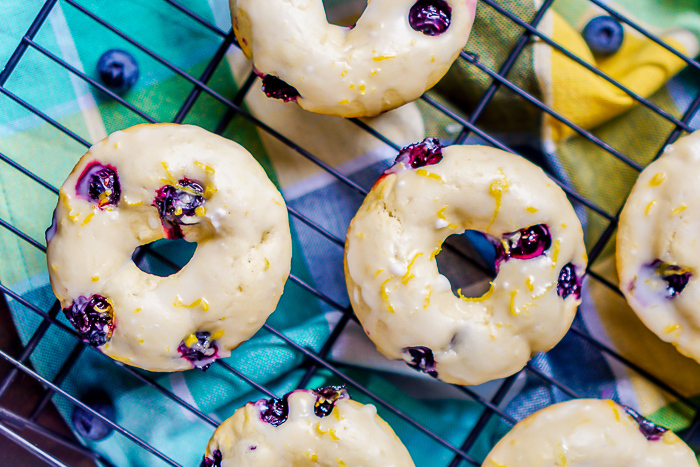 Lemon and blueberries have proven once again why they are the best pairing in the baking world with these Baked Lemon Blueberry Donuts! The flavors are sweet and tangy all at the same time, especially flavorful thanks to fresh lemon zest. These baked donuts are soft, fluffy and far easier to make than you might imagine. Donuts have always been a little intimidating to me so while these Lemon Blueberry Donuts are my first, they definitely don’t be my last! I am so glad that dreary winter is behind us, and we are onto spring! Spring means spring break, Easter, Mother’s Day and Sunday morning outdoor brunches. 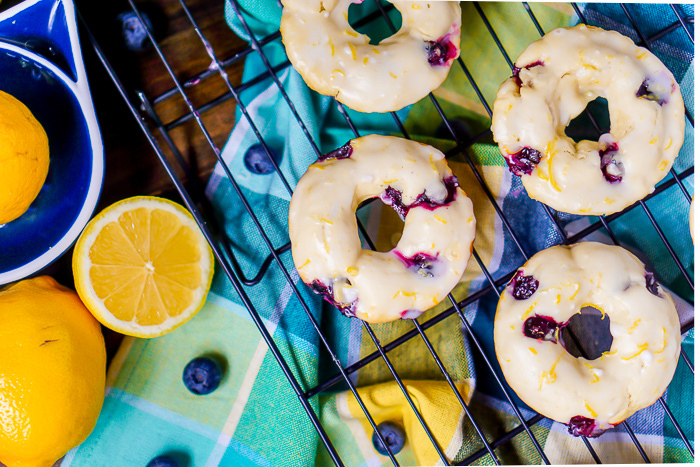 With warmer weather comes more activity, fun, and bright cheery flavors like these Lemon Blueberry Donuts. Consider making a batch for your next family get together and blow everyone out of the water! Fresh donuts always seem impressive! But trust me, they are easy enough to whip up a batch for our immediate family this weekend, too. You won’t need anything special to make this recipe except a donut pan! They can usually be found for under $15. Having the right ingredients can make all the difference though in getting the best flavor. Bob’s Red Mill provides premium baking flours, no matter what kind of diet you follow. If you are on a gluten free diet or paleo diet, Bob’s Red Mill has you covered!! Bob’s Red Mill Organic Unbleached White Flour if my go-to baking flour. It’s freshly milled from organic hard red wheat without any enriched additives. I love that it’s organic, I love that it’s a high protein flour, but I really love how well it produces light, airy baked goods because it’s the end result that matters the most to me! I also keep their Gluten Free 1-to-1 Baking Flour on hand as well because we have quite a few friends who must follow a gluten free diet. 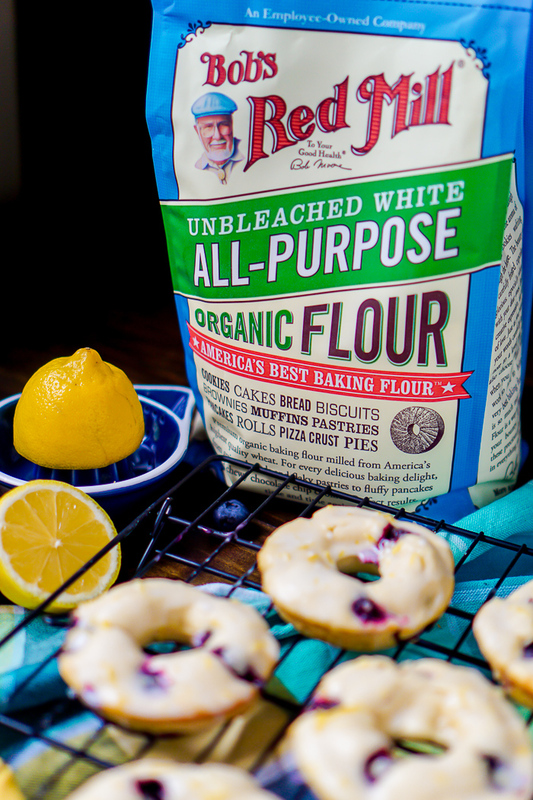 This flour is perfectly formulated for baked goods with no custom recipe required. That’s right! You can use it in any recipe as equal replacement for the required flour. 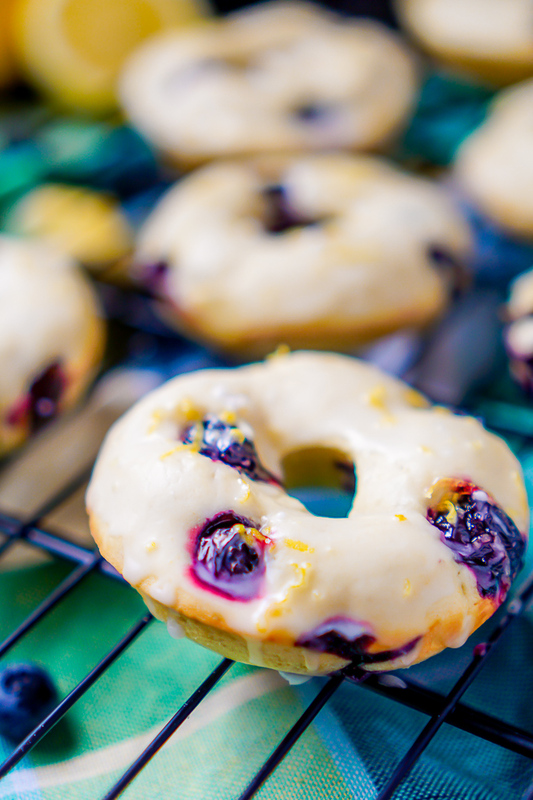 Let’s Start Baking these Delicious Blueberry and Lemon Donuts! 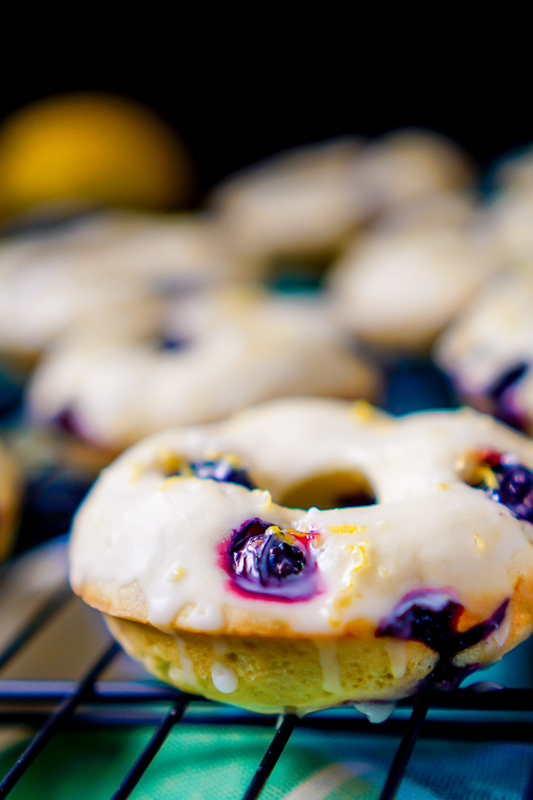 Preheat oven to 400 degrees F and grease your doughnut pans with butter or non-stick spray. In a large bowl, add the butter, oil and sugar. Whisk for a couple minutes until smooth and fluffy. Add in the egg, vanilla, lemon zest and milk. Whisk until smooth. Add the flour, baking powder, and salt. Stir until combined (don't over stir). The batter will be very thick. Add batter to a large disposable freezer bag (or piping bag). Cut off the corner of the bag, just big enough for the blueberries to get through, then pipe the batter into each donut hole. You want a smooth, even piping of the dough if you want smooth, evenly shaped donuts. The donut hole should be almost filled completely but do not over fill. Bake for 8-9 minutes. I like my edges to just start to brown a little and a toothpick inserted comes out clean done. Let cool 10 minutes before removing from the pan to cool completely. When cooled and you are ready to enjoy, make the glaze. In a medium bowl, combine sugar, zest, and lemon juice. When donuts are cooled, either brush the glaze on top of the donuts or dip the tops of the donuts into the glaze. Set right side up and allow the glaze to set. If you like this recipe, you might like my other breakfast recipes! Many of them are perfect for Bob’s Red Mill All-Purpose Flour! These look so pretty and they really are spring personified! And those blueberries are making me drool.